Every human being sweats in a different way, especially during sports. It is difficult, nearly impossible, to create a shoe that fits to everybody’s unique needs. So why not create a shoe that evolves with its wearer, that literally becomes an expression of the wearer’s body when he starts to wear it? In collaboration with the Fraunhofer Institute for Interfacial Engineering and Biotechnology, PUMA works on “Bioevolution”, a project that uses bio-technology such as Microorganisms in performance sportwear. 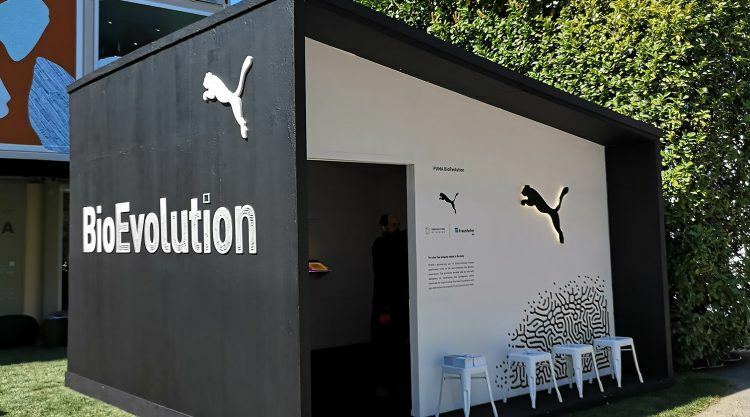 At this year’s Milan Design Week, PUMA and the Fraunhofer Institute presented their results: A Breathing Shoe that uses Microorganisms to remove the material on the shoe in those areas that sweat the most. What does that mean? How does it work? Why use Microorganisms? PUMA’s Global Director for Innovation, Charles Johnson, has the answers! First of all, what is Bioevolution about? At PUMA Innovation, Adaptive Dynamics is what describes our approach to bringing newness. That means we want to create products for our athletes that adapt to their body in motion and to their environment. Biodesign is one channel for us to achieve that. Our new Fit Intelligence Technology would be another one. What has PUMA done in the field of biodesign so far? Last year, we presented a concept of a Breathing Shoe at Milan Design week as the result of years of collaboration between PUMA and the Massachusetts Institute of Technology (MIT) Design Lab. 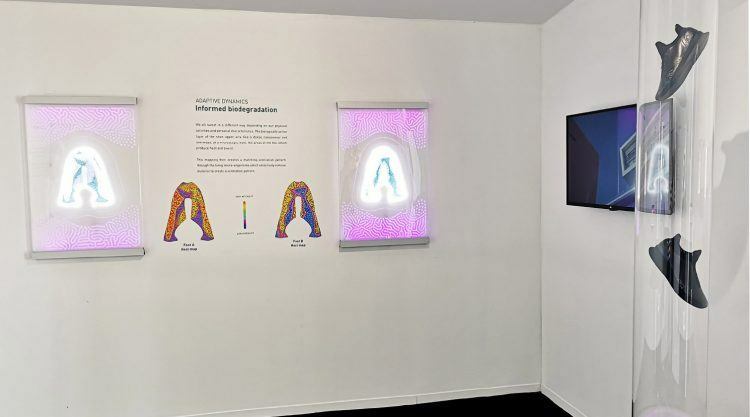 This year, we partnered with the Fraunhofer Institute and Innovation by Design to start bringing the vision to reality. We have an exceptional group of talent capable of pushing the vision forward beyond what is possible today. What exactly is the Breathing Shoe? During physical activity our feet sweat and produce heat with more intensity in some areas. The organisms remove the material on the shoe in a selective way in the most crucial areas creating unique one of a kind ventilation patterns. Every shoe comes as a blank canvas, because each human sweats in a different way. The shoe evolves with its wearer. When you start to wear it, it becomes more and more an expression of your body. Microorganisms include bacteria (the good kind), fungi and micro algae that can sense sweat or heat. The more sweat and heat the more active the Microorganisms. When they remove the material on the shoe they create a unique ventilation pattern. How exactly do people help “make” that shoe? In Bioevolution, we use biologically active material that live in symbiosis with the wearer, evolving the shoe upper to produce the most personal ventilation pattern possible. As soon as the wearers’ feet start sweating or heat up, the Microorganisms begin their work. Bioevolution delivers on another, completely new dimension and that is the world of self-manufacturing. The shoe responds to the needs of the individual, who helps to complete the last manufacturing step of the shoe and its functionality. What is the most exciting thing for you about the Bioevolution concept? We are making what we only once imagined real. 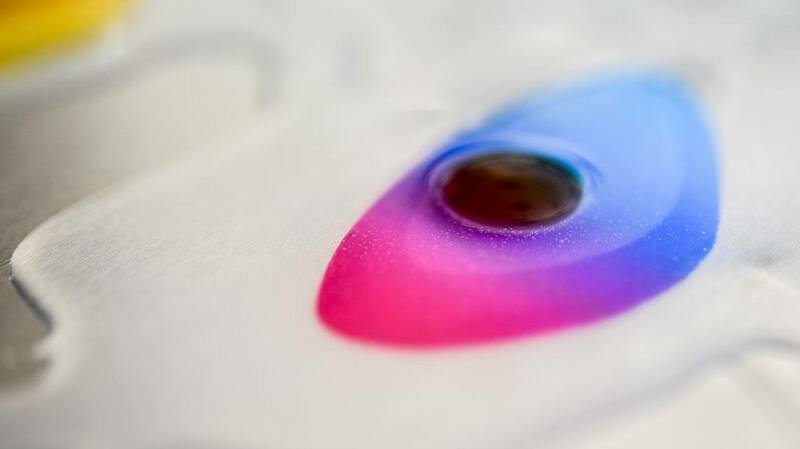 When we first started talking about Biodesign it seemed unreal, so futuristic. It goes in the exact opposite direction of convention. That is super exciting because it stands to deliver something completely new. Will it create a more personal connection to people? Sure! Knowing that you alone have the particular version of a product is a unique connection. Do you think there can be other types of sportswear using this concept, apart from shoes? Absolutely. Bioevolution is just the first step. We see this applying to apparel as well. 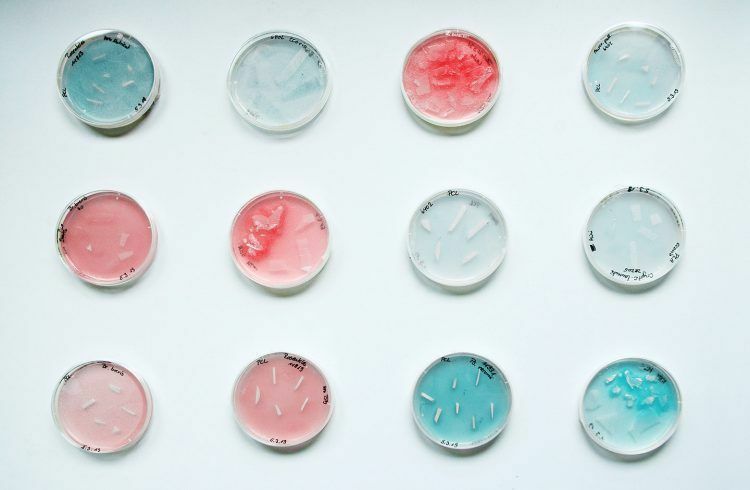 At this year’s Milan Design Week, PUMA, the Fraunhofer Institute and Innovation by Design presented the first material samples processed by the tailored microorganisms during the experimental stage. The Breathing Shoe is not yet ready for production, but the concept is getting real. 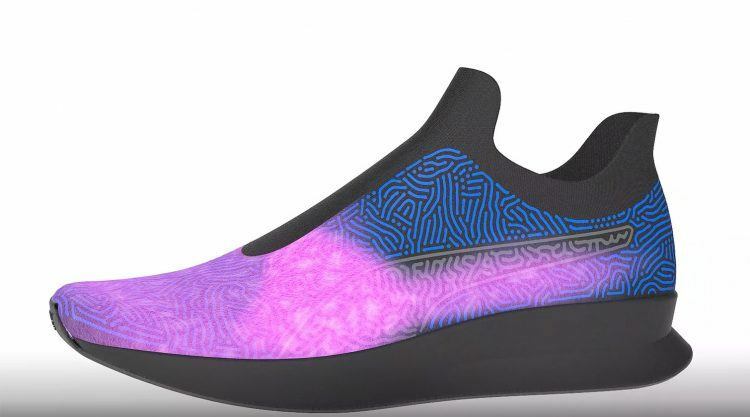 In the near future, we could actually have an upper that hosts microorganisms on the shoe, making it a one-of-a-kind adaptive performance shoe! The Breathing Shoe is just a first step. The concept could also be applied to garments, for example. The biologically active layer of the shoe upper acts like a dense nanosensor net and maps, at a microscopic level, the areas of the foot which produce heat and sweat. The mapping then creates a matching ventilation pattern through the living microorganisms. What do you do with used polybags?